Corporations tend to be craven entities. Why? Because they are financially rewarded for being disloyal to those who do not serve their interests, no matter who those people might be. There is no better example of this than the Canadian engineering giant, SNC-Lavalin, which has repeatedly engaged in suspect activity for its own financial gain. When it gets caught, it cuts loose people who, up until they landed in hot water, were considered stand-up folks doing good work for the company. Below is a list of some of the troubles that the firm has faced, followed by an analysis of a few of the company’s issues, and, finally, an accounting of how good business has been in Canada recently. 1990s. SNC-Lavalin, with funding assistance from Export Development Canada (EDC) and the Canadian International Development Agency (CIDA), lands a big hydro deal in India. Investigators find that SNC-Lavalin’s lack of professional oversight and financial mismanagement results in a financial loss of about 375 core, or $75 million, to the state of Kerala. 2011: September. 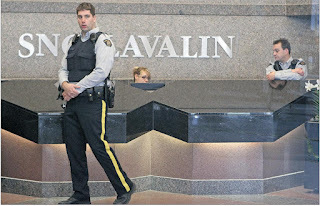 The RCMP raids SNC-Lavalin’s offices in Toronto as part of an investigation into corruption at the Padma Bridge project in Bangladesh. 2011. November. SNC-Lavalin contractor Cynthia Vanier is arrested in Mexico City, accused of leading a plot to smuggle Saadi Gaddafi to Mexico. Saadi, the third son to fallen Libyan dictator Muammar Gaddafi, was the point person for hundreds of millions of dollars of SNC-Lavalin business in Libya. 2011. November. The day after Ms. Vanier’s arrest, SNC-Lavalin executive Stephane Roy, a financial controller who hired Ms. Vanier, is briefly detained by police in Mexico City. 2012: February. Stephane Roy and his boss, executive vice-president Riadh Ben Aissa, resign or are let go, depending on who is lying. In a statement, SNC-Lavalin vaguely asserts that “all employees must comply with our Code of Ethics and Business Conduct”. Stephane Roy goes dark, and Ben Aissa, in an impressive display of moral outrage, threatens legal action, (though that may now be more difficult, given that as of mid-April has been in a Swiss jail cell). 2012: April. The World Bank, the world’s largest development organization, sets its sights on the SNC-Lavalin subsidiary connected to the Bangladeshi job, and suspends its right to bid on projects. 2012: April. SNC-Lavalin CEO Pierre Duhaime resigns after an “internal investigation” determined he had signed off on unauthorized payments. To date, those payments total $56 million, and appear to be related to Riadh Ben Aissa’s habit of playing fast and loose with contracts in North Africa. As a reward for steering the Titanic into the iceberg, Mr. Duhaime is given a $4.9 million kiss-off. 2012: April. 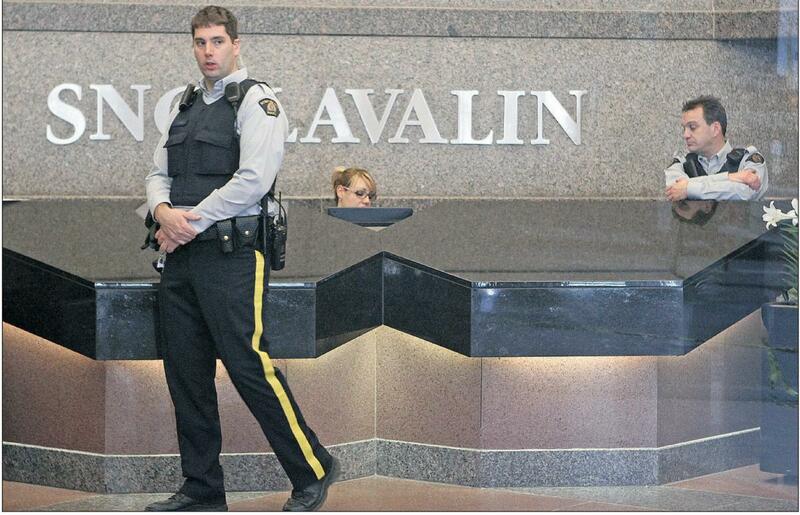 The RCMP raids SNC-Lavalin’s headquarters in Montreal – twice. 2012: April. The Globe & Mail reveals close ties between the Ben Aissa family and SNC-Lavalin’s business in Tunisia, including the use of family property and the hiring of a Philadelphia-based firm Ramla Benaissa Architects, which is owned by Mr. Ben Aissa’s sister. The firm was hired by SNC to plan a $275-million prison and also to rehabilitate lakes in the city of Benghazi, in eastern Libya. 2012: April. The northern Chicago suburb of Peotone, Illinois, remains embroiled in controversy regarding the awarding of a contract for the construction of a new airport to SNC-Lavalin. Governor Quinn and Congressman Jesse Jackson support the project, but continue to be dogged by questions about how the construction would be funded. Jackson has said that the $700 million project would be privately-funded by SNC-Lavalin, and has claimed that funding would be backed by the Canadian government. The government of Canada has denied this. 2012: April. SNC-Lavalin persists in saying that Ms. Vanier was not legally contracted to the company, because the executives who employed her were acting outside of the company’s code of ethics. Morally suspect, and on a weak footing legally, SNC-Lavalin continues to strum the same tune while arguing that it is changing how it does business. 2012: April. Riadh Ben Aissa is arrested in Switzerland and held on accusations of corrupting a public official, fraud and money laundering tied to his dealings in North Africa. Now, given that rather frightening accounting of human and corporate folly, you’d think that people would be a little gun-shy on the home front. Three RCMP raids. Three executives let go. Tens of millions of dollars in wayward cash, possibly lost to bribes. Getting shut out by the World Bank. This is Canada, after all, and SNC-Lavalin is a Canadian corporation. We do things right here. Canada ranks #10 as one of the “least corrupt” countries in the world. But Libya, unfortunately, ranks #168 (a pre-revolutionary number, when the murderous Gaddafi regime was doling out cash to SNC-Lavalin and its friends). Tunisia, which was ruled by the horribly corrupt President Ben Ali, was ranked at #73, though it is worth remembering that it was here that street vendor Mohamed Bouazizi lit himself on fire and ignited the Arab Spring. India, where SNC-Lavalin got nailed in the 1990s, ranks a pathetic #95. Bangladesh, where SNC-Lavalin is now shut out from bidding due to the Padma Bridge project, ranks even worse, at #120. That long and rather depressing list is intended to suggest that SNC-Lavalin may be able to peddle for cover abroad, but not on the home front. After all, the fact that Gwyn Morgan, Chairman of the Board of SNC-Lavalin, is a long-time friend of Stephen Harper’s, surely has little effect on how both SNC-Lavalin and the Harper government have hung Cynthia Vanier out to dry. 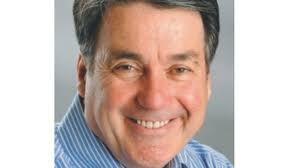 Mr. Morgan is a Conservative party supporter and former fundraiser for the Conservative Party of Canada. In 2006 Stephen Harper unsuccessfully attempted to appoint Morgan as chair of a new public appointment commission. Opposition MPs objected, and Mr. Morgan was rejected, largely due to his close ties to the Conservative Party. Also on SNC's list of board of directors is Honourable Hugh D. Segal, a conservative who moonlights as a senator in Ottawa, and who is seen by many as responsible for improving Mr. Harper’s image to make him more “electable”. These and other board members were asleep at the wheel as former SNC-Lavalin CEO Duhaime overrode his own CFO and authorized $56 million of questionable payments to undisclosed agents, and as Mr. Roy, authorized by Mr. Ben Aissa, financed Ms. Vanier’s work in Libya. That same board is still actively distancing itself from Ms. Vanier. This is a feeble position that only confirms SNC-Lavalin’s continued reluctance to assume any ethical responsibility for its actions. That may not last for long. The Ontario Securities Commission (OSC) recently published a Staff Notice, the result of almost a year’s work that outlines its concern related to Canadian companies active in emerging markets. That notice spoke directly to the corporate governance practices of boards. Specifically, it asked for more transparency for underwriters, better controls on foreign auditors, and enhanced disclosure of risk factors. These actions need to be understood in the context of new corporate regulations such as the UK Bribery Act and the SEC Whistle-Blower Rule, as well as last year’s watershed enforcement of Canada’s bribery statute. In that case, Niko Resources pleaded guilty under the Corruption of Foreign Public Officials Act in June, 2011, for bribing Bangladesh’s energy minister. Niko was fined C$9.5 million. Specific to SNC-Lavalin, there could be more leaks to come with regard to fraud and bribery. These actions are rarely secret; almost always, employees other than the principal actors are aware. The problem, of course, is that there is little incentive to speak out, particularly when a lot of money is on the line. In time, too, we will learn more about the company’s relationship with Ms. Vanier, who was paid $100,000, billed another $395,500, and had a retainer account of about $1 million with funds from SNC-Lavalin. If Ms. Vanier had no legal relationship with SNC-Lavalin, then one expects they would be charging her company, Vanier Consulting, with fraud. Odd, that hasn’t happened yet. 2012: March. SNC-Lavalin is awarded the project management, engineering, procurement and construction management contract for Vale’s $2-billion Clean AER project in Sudbury. 2012: March. SNC-Lavalin, with its partner, the European-based construction group Cintra Infrastructures, lands a $1 billion contract to build and maintain Phase I of the eastern extension of the Highway 407 toll road from Pickering to Oshawa. 2012: March. As part of a joint venture with Aecon Industrial, SNC-Lavalin is given a major contract by Ontario Power Generation (OPG) to carry out the Definition Phase for the Darlington Retube and Feeder Replacement (RFR) Project. The total value of the Definition Phase is estimated at over $600 million. 2012: April. The Honourable Peter MacKay, Minister of National Defence, announces a contract award for 2.5 million to a joint venture between SNC-Lavalin and Aecon Atlantic Group for the design of a new accommodation tower and dining and messing facilities at Canadian Forces Base Halifax. As one loyal La politica reader emailed us to say: "Is there not an honest engineering company out there our government could start sleeping with?" Aissa arrested in Switzerland, wonder if he'll sing? I doubt it somehow Bludsho.....While Gwyn Morgan is staying on look who has decided to take a power powder. According to Reuters - The Honourable Hugh D. Segal, CM, is no longer Independent Director of Snc Lavalin Group Inc., effective May 3, 2012. The federal government also "sold" the commercial division of AECL to SNC-Lavalin in a secret backroom deal that closed in October of 2011. Check out that dirty deal. SNC paid $15 million and the feds turned around and gave them $65 million. It stinks. Oh yeah, so now this corrupt corporation has access to nuclear technology. As of December 2012, SNC-Lavalin is being investigated in connection with the one billion dollars hospital construction in Montreal. No one is paying any attention to the corruption going on in Canada. 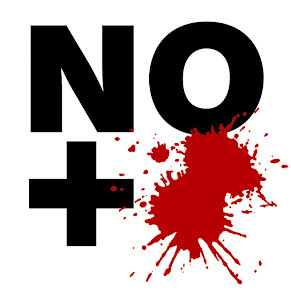 Journalists reports are ignored by politicians and our national police. And until people sit up and take notice corrupt politicians will continue to steal everything that their corporate masters tell them to. Next on their list: the Canada Wheat Board; CBC: and Canada Post.